The Walt Disney World Swan and Dolphin Resort, while on Disney property among the Epcot area resorts, is not actually owned and run by Disney. The resort is part of the Starwood/Marriott family of properties. It is comprised of two separate hotels located a short walk from one another. The Dolphin is by far the larger of the two resorts, with over 2,000 rooms while the Swan has about half of that amount. Guests, however, share the amenities of both hotels including the ability to charge to your room from stores and restaurants in either location. Navigating between the buildings and throughout the resort is easy. A simple elevator ride and short walk will take you anywhere in either resort. The best part, in my opinion, is that you can walk along a beautiful canal between the resorts and have access to both Hollywood Studios and Epcot. As you know, we love the Boardwalk Area for this reason so a stay at the Swan and Dolphin resorts is a double win. You get to access these parks with ease AND you get save a lot of money! Win Win!! Since the resort is part of the Starwood/Marriott family, they each offer a variety of room types, sizes, and costs. Guests can find simple rooms with two queen-size beds or a single king-size bed all the way up to family rooms and a number of suite types. Depending upon where you stay, there are often large balconies, some of which have perfect views of Epcot’s fireworks. Additionally, preferred view rooms can be requested. We have stayed in a number of level rooms, all of which change size accordingly, as does price, but a typical standard room runs from approximately $200-$350 a night. The Dolphin Premier Studio is a great option for families. The main living space consists of a pull out couch and two deep arm chairs, as well as a kitchenette and a small table. The bedroom is adjacent to the main living space, though there is not door between the spaces which does limit your privacy. The standard connecting room can be reached through a door in the bedroom. We have stayed in The Dolphin Deluxe Alcove, Dolphin Family Room, and the standard rooms at both the Swan and Dolphin. The family rooms, while larger, lack the privacy that parents may want, as there is no separation between “living space” and “sleeping space. Check out these, Tips for Sharing a Room with Your Infant or Toddler, for some ideas on creating privacy on your vacation. As it’s a Starwood/Marriott property, rooms can be booked using points and, on occasion, there are cash and point deals available. Becoming a Marriott Rewards Member is a GREAT way to stay on the cheap at The Swan and Dolphin. We utilize the SPG American Express or Marriott Rewards Visa to earn additional points and status. Platinum members may even be rewarded suite upgrades and additional perks. 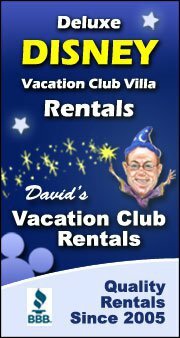 If you travel to Disney or otherwise often, it is worth looking into one of these programs. Join the SPG American Express or the Marriott Rewards Visa to earn points and rewards toward a free stay at the Swan & Dolphin and other Marriott Properties. By the way, if you are looking to earn points and perks toward Disney Vacations, check out the Chase Disney Rewards Visa. Swan & Dolphin rooms offer the unique benefit of experiencing the same Westin Heavenly beds and bath products that you experience when staying in any Starwood Westin Property. The following amenities are also available. For more information on additional amenities visit the Starwood site here. As mentioned, Swan & Dolphin guests enjoy many of the same perks and amenities as do guests at other Disney owned properties. The resort offers a host of activities for families, including Camp Dolphin Kids Club, which is open nightly so parents can get a quiet night on their own. If parents are planning on eating at one of the resort’s signature restaurants or getting a 75 minute massage at the onsite spa, then the resort offers two complimentary hours of child care at Camp Dolphin. Insider Tip For the Kids: Included in the resort fee is a complimentary S’mores kit for each night of your stay. There are arts and crafts for the kids (some at an additional cost), games for everyone, drink specials for those over 21, and fitness activities for those inclined. The health club is even equipped with on-demand Peloton bikes. Additionally, the hotel offers a complimentary shuttle to the Orlando Vineland Premium Outlets. The Swan and Dolphin offers convenience stores, coin-operated laundry, ATMs, a game room, a spa, two business centers, two car rental desks, and two on-site Disney planning centers. The pool at the Swan and Dolphin, like other Disney resorts, also offers free life vests for swimmers. The Swan and Dolphin Resort offers a number of restaurant options. There are four “Signature” level restaurants, five casual dining restaurants, and three quick service/grab and go spots to swing by for a quick bite. At the Swan, in the Garden Grill, you can meet Pluto and Goofy for dinner or breakfast on Saturdays and Sundays. There are bars located in a number of the restaurants as well as a Phin’s Bar, which greets guests in the lobby of the Dolphin. For those who want a car, there are two car rental counters on site. And for those who have a car, there is both valet and self-parking available and both charge a fee. As we mentioned, you can access Hollywood Studios and Epcot directly from the Swan and Dolphin either via the Ferry which will also be stopping to pick up guests at the Boardwalk and Yacht and Beach Club Properties or you can take a walk. There is walking access into both parks from the resort. The walk to Hollywood Studios is pleasant, but will take you about 10-15 minutes so keep this in mind if you have tired kids after leaving the parks. You may wish to access the Disney shuttle buses which do stop at the Swan and Dolphin or consider renting an Uber. It is our understanding that the Disney Minnie Vans do go to the Swan and Dolphin as well. Please note, however, that the Disney Magical Express DOES NOT deliver or pick up from the Swan and Dolphin. You will have to make other arrangements when coming to and from the airport. It is a short walk to Hollywood Studios and an even shorter walk to Epcot. And the clincher? It brings guests to the World Showcase entrance at Epcot. The cost of the hotel for this unbeatable location, is without a doubt, one of the resort’s standout features. Even though the Swan and Dolphin Resort is a Marriott property, it still has most of the benefits of other Disney resorts like access to Extra Magic Hours and the ability to book FastPass+ at 60 days out. The most important difference has to do with making Advanced Dining Reservations (ADR). Rather than having the ability to make ADRs at 180 days out for the entirety of your stay up to 10 days (so 180 +10 days), you can only make them at 180 days out. So you must log back into your My Disney Experience App each day to make reservations for 180 days out. Additionally, you don’t receive magic bands at this resort. While you can’t book Advanced Dining Reservations at 180 +10 days out from your arrival, one of the benefits of staying at this property is that you can earn points or use them to book the rooms, as well as take advantage of any perks you may have if you have status with these hotel chains. A final standout feature to note is that the Swan and Dolphin Resort, in particular the Dolphin, is a Conference Center. As such, it can be overwhelmed with thousands of people from a single organization. This means that the lobbies feel like gathering spots of whichever conference is in the hotel; it’s like being a part of a meeting you were not invited to. It can be overwhelming, chaotic, and corporate, rather than the magical experience one associates with Disney. The Swan and Dolphin Resort can be a great option for those who are looking for a convenient location without a Deluxe Resort price. Situated in the heart of the Epcot resorts, guests have easy access to a host of activities and amenities as well as considerably short commute time to the parks. While it is noticeably more corporate than any other resort and it lacks the joy of the themed properties, it makes up for it in the resort’s combination of price and location. I’ve never had the opportunity to stay at the Swan & Dolphin, but it’s so gorgeous. I feel like it would be the perfect place for a romantic getaway!